Welcome to another brilliant interview here on Always Trust In Books. I have A. H. Richardson here to answer some questions about her murder-mystery series. 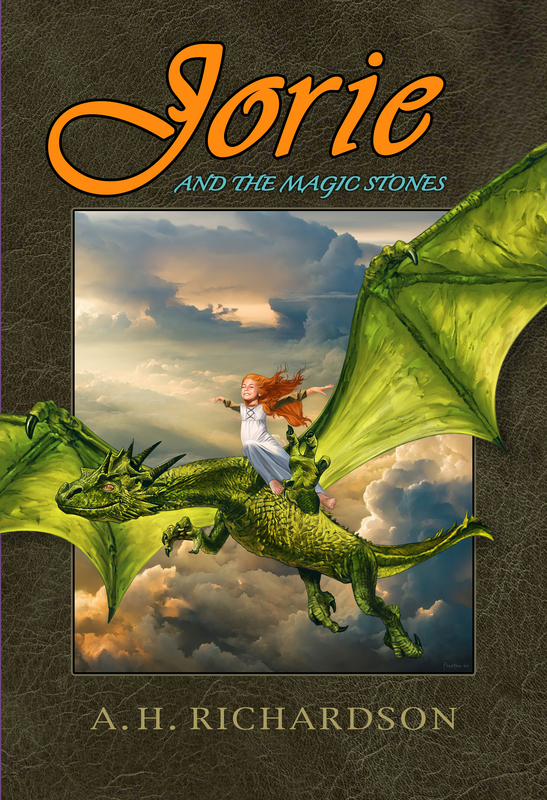 I am a huge mystery fan so it was a nice to have an author to chat with about a new series. The Hazlitt/Brandon novels sound really good, a world war two setting is intriguing and I am looking forward to seeing how Richardson has incorporated it into a quality mystery novel. First a few details about the novels and A. H. Richardson, then on to the questions! The Hazlitt/Brandon series of murder mystery novels follows a pair of clever, colorful and charismatic sleuths – Sir Victor Hazlitt and Beresford Brandon – as they scratch their heads searching for clues to figure out whodunit. 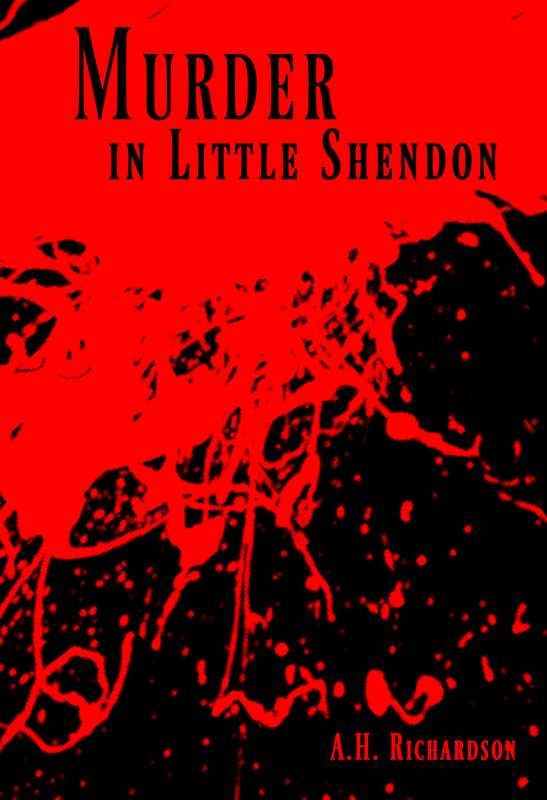 The first book in the series, Murder in Little Shendon, is a thriller murder mystery which takes place in a quaint little village in England after World War Two. Picture, if you will, a picturesque village called Little Shendon, suddenly caught up in dealing with a murder of one of its citizens — not a particularly well-liked one at that. Which makes it all the more intriguing because the list of suspects becomes very long. This tantalizing tale unfolds with twists and turns to find out whodunit to Mr. Bartholomew Fynche, the murdered shopkeeper. Fear grips the community as the investigation slowly progresses. Everyone is interviewed; everyone is suspect! From his housekeeper to Lady Armstrong and her household staff. Or could it be the shy librarian new in town? Or the defiant retired army major and his lady-friend, the post mistress? Or perhaps the weird sisters who live on the edge of town? Then there is the couple who own the local inn and pub, along with the two Americans who are staying there? Even the vicar and his wife fall under the gloom of suspicion. Uncertainty, wariness, and terror reign as neighbors watch neighbors to discover the evil that permeates their upturned lives. No one feels safe in this charming little village. Who is the murderer? And why was this strange uncivil man dispatched in such a seemingly civil community? You are challenged to discover the culprit before the last few pages. And no fair looking ahead — it’s the journey that proves the most enticing. Thank you for taking some time to answer questions about your murder mystery series! Could you tell us a little bit about yourself? You are so welcome. I was born in England during World War Two of an opera-singing mother, and a very famous composer father, Clive Richardson. I trained as an actress and graduated from LAMDA, went to work in an office, was a model for a fur coat company, adored horses, and rode a lot. I was an only child, and grew up with directors like David Lean, A. Hitchcock, etc. all friends of my father’s who was writing music for film. Could you share your own personal overview of the Hazlitt/Brandon series? I think from an early age I had wanted to write books, for children, and some for the ‘older children’ in the form of murder/mysteries. Sir Victor Hazlitt, whom I love because he is wise and cautious, and a ‘smoothie’ without being a ‘smartass’ (can I say that?) Well, I said it… sorry. His immediate opposite is Beresford Brandon, a teddy-bear of a man with great emotions, a true gourmand, a romantic soul, a Shakespearean actor and somehow they work perfectly together. Having created these wonderful fellows, I had to find mysteries to put them in, and they came very easily. I love a great whodunit! How long had you been planning to write this series? Not long really … I tend to work fast, and never have writer’s block, I get just the opposite of WB, and I’m not sure what that is called! After Vic and Berry appeared, I started writing immediately, and was surprised at how easily their first story came together. I think that my years of acting, theatrical background, and some of those genes from my father did not hurt me! Is it difficult to manage two lead characters working alongside each other? No, not at all. They play off each other so well, and I try to see that they remain ‘who they are’ throughout. Consistency is enormously important, and once I let them play together, they write the book… not me! Hard to explain. How long does it take to finish a book from starting a draft to the finished book? I should say around three and a half months. How many books have you already planned to include in the Hazlitt/Brandon series? Could you give us some insights into what challenges you faced when writing a post-war murder mystery? It’s easier to write books in that time period… one doesn’t have to worry about computers, and DNA and other things… it’s all done the old fashioned way, with clues and red herrings and AHA moments, such fun! How do you usually celebrate after you have finished writing a book? I jump up and down and shout ‘YES!’ and then I do it again. I do actually dance around to some rock n’roll, and then I always ask myself ‘ Now, how did you do that?’ I don’t know the answer to that – I see everything in pictures and images, and then I write what I see … make sense? Murder mystery is one of my favorite genres. What attracted you to the genre? I think it goes back to solving puzzles, who did this? How was it Done? Why was it Done? And the murder(s) give it some excitement. What do you do to wind-down from all the writing? Watch an old movie, feet up, with three dogs at my side, two pugs and one thug (who happens to be a 5-month old baby English Bulldog) – We’re both English, so we get on really well! Have you read a book recently that you would personally recommend to the readers of this blog? Here goes old fashioned me: Get a classic like Jane Eyre, and re-read it, it takes one to another world, and that’s always good — for a little while.